Homeowners sometimes assume that basements are supposed to feel damp and humid. While having high humidity levels in your basement might not be out of the ordinary for your area, moisture in the air plus the lack of air flow that is typical of basements can create the perfect atmosphere for mold to take hold. 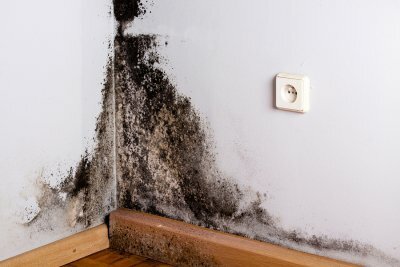 If your basement is humid, then there is a chance that you have a mold problem. Mold can be easy to identify by smell and if your basement has even a hint of a musty odor, then you are probably facing the early stages of a mold problem and should address the issue as soon as possible. To help prevent the mold from spreading and affecting the rest of your home, consider scheduling mold remediation and basement waterproofing services. Does anybody in your household suffer from allergies, breathing problems, or other health issues while they are inside the house? If so, there is a chance that they are having a reaction to mold in your home. Health symptoms that worsen while indoors and subside outside of the home are a common sign of a mold issue and indicate that you should have your home checked for mold. Sometimes, detecting mold in your basement can be as easy as sighting the fungus. If you’re concerned about mold, then give your basement a onceover. Look at the ceiling, behind furniture, and on the walls. If you can see patches of a brown, black, green, pink, or white substance anywhere in your basement, then there is a good chance that it is mold growth. Do not disturb the area and contact a contractor about mold remediation and basement waterproofing.